Tasted at Bordeaux Index's annual 10-Year On tasting in London. 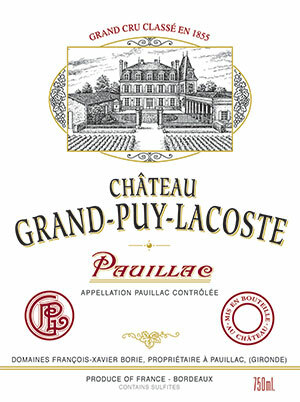 I raved about the 2006 Château Grand Puy-Lacoste when I tasted it from barrel ten years ago. It has evolved a really quite beautiful, very classic Pauillac bouquet with vivacious blackberry, raspberry and wild mint aromas that deftly absorb the oak. The palate is medium-bodied with fine tannin, perhaps a more forward "GPL" than other vintages, but there is genuine fineness to the tannin and that backward finish has great precision. There is the substance to suggest that it will be a long-term Left Bank and you could probably broach it after another 3-4 years. Tasted January 2016. Drink 2019-2038. Displays blueberry on the nose, with a hint of fresh tobacco and some licorice. Full-bodied, with chocolate, berry and toasty oak. Long and very silky. Very pretty and balanced. Best after 2013. Good dark red. Perfumed, ineffable aromas of currant, cherry skin, floral oils and incense. Then juicy and penetrating on the palate, with excellent concentration and thrust to the soil-inflected flavors of currant, minerals and iron. Very suave, pure wine with the structure to age.